The month of March is filled with exciting days designed to make your employees feel amazing. For instance, on March the 2 we observe Employee Appreciation Day as well as Salesperson day, and on March the 3 Caregiver Day is celebrated. 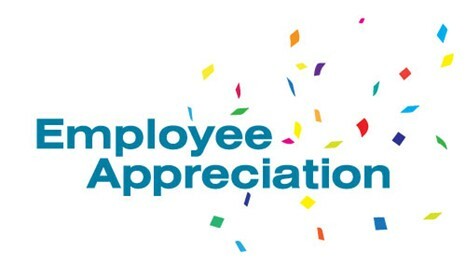 With these three holidays designed to make many employees feel appreciated, you may want to think of a few ways to celebrate with your own employees. These ten ideas will allow you to do this frugally, so you can still stay on top of your budget. Best of all, these ten tips will even help boost morale, so your employees will feel better about working for you. These tips might even bring a harmony to your work place that will improve production and comradery. One of the easiest ways to help employees feel great is to offer them a day where they can just be themselves. The best way to do this is to offer a casual day, so that employees can show off who they are when they aren’t in stiff work clothes. A casual day shows you value your employees as individuals and not just as employees, which will help make your employees feel better about their position in the workplace. Apart from that, it also shows that you care about their comfort. You can implement this event as a weekly, monthly or simply an annual occasion. Either way, it will help build morale in the workplace that will make everyone feel like a greater part of a team. Another great way to show your employees that you care is by throwing a dinner party. It doesn’t matter if you treat at a restaurant or you take a more frugal route by cooking at home, this occasion can help make your employees feel united. A dinner party allows everyone to get together and talk about things that aren’t work involved. This will help everyone get to know each other on a deeper level, which will allow them to grow closer as they work together. Apart from that, it gives you time to get to know the people that are working for you. You might get together questions to ask your employees. For instance, knowing about their family can be a great way to show you care about their life. You might also invest time in learning about their goals and dreams. This might allow you to help them work towards some of the goals within the workplace. As everyone gets to know each other, the office will be a bit more comfortable. If you don’t want to host a meal at dinner time, then opt for a lunch instead. This will allow employees to attend during work hours, opposed to taking time out of their free time. One of the simplest and cheapest things to do for your employees is to give them a thank you card. This doesn’t mean to send out a mass-produced card to everyone. Instead, take your time to fill out the cards. Tell each employee why they are valued. This will ensure that your employees will see that you do recognize what they bring to the table at work. Plus, it will show that you do pay attention to individual efforts instead of just the big picture at work. When polled, many employees actually got more out of a personalized note or gift than they did a grandeur gesture. So, you might keep this in mind when you’re trying to keep things cheap while showing some appreciation. It’s the simple things in life that make work bearable and maybe even fun. One way to give your employees something simple to enjoy is to bring in little treats to work. For instance, you might bring donuts one morning when you know your employees are going to have a rough day. In order to say thank you for the hard work, you may treat them to a lunch of pizzas delivered to the office. When there is a birthday or celebration in order then bring some cupcakes to help make the occasion great. You may even want to make it a monthly treat to bring in some catered foods for employees, so they don’t have to spend money on lunch that day. Whatever you choose to bring, employees will see that you care. Getting burned out is unfortunately a major part of today’s society. It weighs heavily on employees when they have to spend all of their time and energy at the office. So, you might give them an early day every now and then. Of course, this doesn’t have to be on days when production is off the charts. Nor do you have to give everyone the same day. You can easily stagger days so that one or two employees can enjoy an early day every once in a while. Your employees will get to enjoy more of the things they love this way, which will help prevent them from getting burned out. If you don’t want to give early days for no reason, then consider being flexible with employees. For instance, you might release parents early to allow them to attend one of their child’s events. You can do the same for non-parents that may have conventions, sales or concerts they want to attend. Another way to take on the challenge of showing your employees appreciation is to give them more benefits at work. One of the best new programs is to set up workout programs at the workplace. You might hire an instructor for yoga one month and a personal trainer for weight lifting the next. Employees can feel free to take a break from work and workout to blow off some steam. Another great aspect is to set up an area where employees can choose their own workouts. For instance, if you have an employee that knows a lot about a dance program then have that employee host a short class. It will save you money and will allow employees to take a break. You may even want to create a sports team for your workplace. These teams have been known to bring comradery to the workplace and help employees blow off steam. Another great option is to allow employees to create clubs. For instance, let them get together to knit or draw for a short period. These breaks have been proven to help with productivity. One timeless way to show that you are paying attention to your employees is to offer an employee of the month award. This can be as simple as a certificate, but you can also throw in a gift card or other reward if you want to make it even more rewarding. Employees will work hard to achieve this award and will see that they are being recognized for everything that they do. Without a doubt, these awards help boost morale too, which is always great for productivity. Awards like this also look great on resumes, so when you present this award to your employees, you might also offer a letter of recommendation to show you see your employees strong points. One of the main problems in the work place is that employees don’t have a connection with their employers. Sometimes, employees never even speak to their employer after the initial interview period. So, in order to show you care, you might offer some one-on-one time with your employees. Stop to chat with someone when you head to the water fountain or call your employee into the office to have a chat. You might ask them to voice their concerns about the work place or simply have them talk about their life. Offering this form of socialization can help build relationships and make life easier at the office. Plus, it will show you the areas that you’re thriving in and those that you need to put a little more effort into. Another simple way to show that you care about your employees’ needs is to set up a refreshment area. Rather than just providing everyone with water, you might set out coffee, tea and other simple drinks for employees to enjoy. Snacks are also an added bonus that can help your employees feel like they can power through their afternoon down periods. Light snacks, like fruit and energy bars, won’t cost you a bundle. Some modern businesses are even setting up smoothie and salad bars for their employees, so they always have healthy food to choose from. Many employers enjoy giving out holiday gifts to their employees. However, some stay away from this trend because it can cost a fortune. You don’t have to spend a lot of money to make a great statement though. For instance, you can easily purchase your employees something small that still has personal value. One example would be a soap gift set that features a scent you know the employee enjoys. A gift basket full of snacks is another great option and is simple to do if you know your employees. People will notice the personal touches, which will make them feel like a valuable part of your team. It is important to let your employees know they’re not just someone that shares a workplace with you. Showing your appreciation can really change the dynamic of the office. These ten ideas will show your employees that you care about them and the hard work they do for you. So, you might want to utilize a couple to help your employees feel great, especially during the upcoming employee appreciation holidays. As the years pass, music in the school system becomes even more endangered. Since this program doesn’t bring in as much money as athletics, it often gets cut along with the art programs in many schools. This can be a huge problem for our young minds, which is why so many people are standing up to try to keep music in public schools for good. March is actually Keep Music in School Months, which makes it a great time to stand up and do your part to help keep these programs thriving. This doesn’t mean that you have to spend a small fortune to do this. Rather, there are many frugal ways to help keep music in schools that actually won’t cut into your time or budget. So, check out these ten tips so you can be ready to make the most out of Music in School Month. One of the best ways to do your part doesn’t require any money at all. All you have to do is volunteer your time to a school in need. Most schools could really use a helper in the classroom and on field trips. More often than not, programs end up getting cut because they can’t hire enough people to keep the program thriving. If more people stepped in to do the work for free then they would be able to host more band trips, teach more students and maybe even put on a concert or two. You don’t have to be talented in regards to music either as many schools just need someone to help keep an eye on the large number of students. However, if you do have some musical expertise then it won’t hurt to let your school know you can help in other ways too. You may be asked to help tutor students that are struggling with their instrument, or, if you’re qualified to be a substitute, you may be asked to step in from time to time to help when a teacher is ill or is supervising students in a competition. Fundraisers are a tried and true way to help out struggling programs in the school. The best thing is, you can base your fundraiser around things that you enjoy doing. For instance, if you’re a baker then host a bake sale. You may even send out flyers to other parents to see if anyone else will donate something to go towards the school’s music program. If you like to be active and the weather is nice then host a car wash. This usually has a great turn out and the kids in the music program can lend a helping hand too. You might even consider selling your own things to give a little bit more to the program. Another great idea is to call for the community to donate old instruments. These can even be fixed up by the community if you know the right people. The options are endless, so have a little fun with it. Our government puts the power in the hands of the people, which means it is up to you to express your need for something. If the schoolboard is planning on cutting funds to your music program, then don’t sit by idly. Look up your legislators’ offices and write to them or even call them. Don’t give in after a few unanswered letters either. Instead, keep writing to make sure your voice is heard. You should also work to inspire others to do the same thing. The more the issue is brought to the eye of the legislators, the more likely they will take the time our of their day to address the issue. It might even allow you to save the music program in your area. Getting attention to the issue is one of the best ways to get help. If you’re looking to make a scene to get noticed, then hosting a peaceful rally is one of the best things to do. To begin with you, you will need to get permission from the school if you plan on hosting there, if not then you need the permission of the city to host the rally in public areas. Once you have this, then you can start by encouraging teachers, students and parents to participate. Gather everyone together to make signs and come up with cute slogans to chant. Once everything is organized, get a hold of the local media so you will get even more coverage. Even if your rally doesn’t get the attention of the school board, it might draw in donations and sponsors that are much needed. Sponsorship is another great way to save a school’s music program. Every year, there are many competitions to help a school get sponsored. If your school isn’t quite ready for this exposure, then don’t fret. There are actually many great businesses, foundations and individuals willing to sponsor without a competition. All you need to do is apply for these sponsorships to be considered. You might begin your journey by looking locally. You may not find a sponsor for the full program, but every little bit does help. After searching locally, move your search on to statewide sponsorships and then national sponsorships. You might end up having to place advertisements in your programs or on your uniforms, but it will be worth it to have the kids enjoying music again. Believe it or not, but there are many national programs that are designed to help give schools around the country the support they need to be successful. For instance, when you walk intp Hot Topic, you can give a donation simply by rounding your purchase up to the next dollar. Another option is to work with VH1s Save the Music Program. This program has been around for years and is designed to give a new school each year funding. There’s also programs like the Mr. Holland’s Opus fund, which helps schools to keep music alive. Some programs even cater to certain groups, like the Girls Rock Foundation. There are so many to choose from, so make sure you do your research to see which one works best for you. One of the main things schools need is supplies to keep their programs growing strong. In some areas, students can’t afford to purchase or rent instruments. With a low turnout in this regard many programs have no choice but to end funding as there simply aren’t enough students to make it worthwhile. By donating your old instruments, you can give a child the chance to play the music they love despite their financial situation. Apart from that, sheet music is also a great thing to donate. May it be blank sheets for competition, or music for students to practice on, every little bit can go a long way. Accessories for keeping up with the instruments is also great, especially when it comes to reeds or even instrument cleaners. Anything you give can help make a child’s dreams come true. Participation is a huge factor when it comes to the music program. The more children that are involved in the program, the more funding they are likely to get. If you have a low turn out in band, orchestra and choir then it will be hard to convince the education board to hand over funds to keep it going. One way to help avoid this is to get the word out about the program. Pass out flyers at the school to encourage students to join. Many students don’t know it’s an option for them, so they don’t bother signing up. You might also want to consider starting music clubs. This will peak interest and make students feel like they belong in the music program. You might also inspire the school to create advertisements for the program which can be played in the morning announcements. 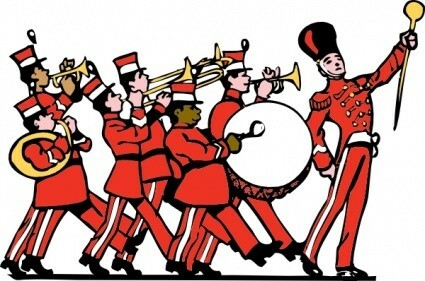 It can also be fun to have the band perform for the students to help show the fun everyone has while playing. There’s no limit as to how far you can go to help students see the program is a great concept. If you’re a parent wanting to put up the fight for the music program in your school, then joining the PTA is one of the best things you can possibly do. This is where many of the school’s decisions are made, so if the PTA doesn’t believe the music program is an asset then you might have some trouble getting the school board on your side. While you’re at your PTA meetings make sure you keep everyone informed as to what the benefit of music is in the school. There are lots of brochures you can download to back up your debates too, which should help everyone see that you are fighting for their children’s best interests. Of course, one of the best places to begin your mission is your own home. It is important that your children are able to see how important music in for their brain development and creativity. With your child already interested in music, they may be willing to join the music program at school. This enthusiasm can be contagious and might have his or her friends wanting to follow suit. Even if this isn’t the case, having your child engrossed in a world of music will help them grow to be well-rounded individuals with plenty of outlets to help them lead happy lives. For years, music has been in jeopardy of being cut in the public school system. These tips will help you fight for the school’s rights to have such programs thriving in their schools. It might take a bit of a battle, but if you’re successful then you will have done your child and many others a huge favor. Although the groundhog has called for 6 more weeks of winter, it doesn’t mean that you can’t get in a little prep work before spring finally does arrive. Prepping for spring can really help you get a head start on things, which might even save you some money in the long run. Plus, doing a little spring prep work can help you get out of your winter funk, which should lift your spirits and make you feel excited about the next season’s arrival. These ten ideas will give you a few simple things to do around the house that will certainly prepare you for the demands that spring brings to the table. Working in the garden can be one of the highlights of spring. However, getting things started always takes a lot of time and patience. One way to get a jump on your garden is to plant seedlings that can be cared for indoors until spring arrives. Many gardeners use this technique because it allows them to enjoy beautiful flowers and delicious produce much faster than planting in early spring. Working with seedlings can also lead to the success of your plants as they will be past the danger zone when you finally place them outdoors. You can use many things to plant your seedlings too, which will help save you money. For instance, your old K-Cups can be recycled to store your little seedlings. You can also go the biodegradable route by using things like lemon peels or toilet paper rolls to get your seedlings going. With a little water and some sunlight, your seeds should be ready to plant as soon as the nightly freezes end. Spring cleaning is something that most people are on board with. However, during the season some stores actually hike up the prices of supplies because they know people will pay the price. Not to mention, it is already flu season so many people are constantly buying disinfectants to keep their family safe. This can lead to a lack of supplies, which might make you put off your cleaning tasks. This can even lead you to forget them later on down the line, which could cause you some pricey problems. If you shop early, you may be able to find your supplies on sale or even use coupons to cut down on the price. Plus, you’ll be ready to tackle any clean up job that comes your way. As soon as the snow stops, it is time to get your lawn ready for spring time. One of the first things you should do is pick up all of the litter, leaves, sticks and other debris that may have accumulated in the yard while the weather was too cold for yard work. Once you have this complete, you might start by trimming your trees and shrubs to give them a fresh start in the new season. If weeds have already begun to pop up, then you may want to begin to pull them. Another important thing to do is rake the grass. This helps wake up the soil as well as the grass that is already there. All of these tasks will set you up for success when you begin working on landscaping. During the winter, the roof can take a lot of damage. If snow doesn’t flow down properly, it can even cause your roof to cave in. So, when the weather is suitable, you might want to safely get on the roof and see if there is any damage that needs to be taken care of. If there is, getting it taken care of right away is your best option. Since spring tends to be a rainy season, it is important to get busy before the weather brings leaks into the house. While you’re analyzing the state of the roof, you might also want to take time to give the gutters a look over. Many will need to be cleaned out before the rains arrive to help prevent further damage to the home. If you love to get out of town for Spring Break, then now is the time to get a jump start on your plans. If you wait too long to book your plans, then you’re going to run into high prices and hotels that simply don’t have vacancies leftover. Planning out your Spring Break options might also help you feel like vacation is a bit closer. This can be important after being trapped indoors for so long as it is nice to be able to think of the fresh and warm air. Plus, knowing exactly what you want to do on your trip will help you find better deals on your activities and might even allow you to find restaurants that suit your budget. With your Spring Break all planned out, you should be able to enjoy your spring adventure and won’t feel as stressed in the early season. Without a doubt, Spring is one of the worst times to deal with allergies. Pollen and mold counts are both up, which causes many people to feel absolutely miserable. The first step in dealing with spring allergies is to see your doctor. Some will give you allergy tests to help you pinpoint exactly what you’re allergic too, which will help you avoid the triggers. You may even be given a prescription to help cut back on the symptoms of the allergies. Another great move to make is to purchase cleaning supplies that will help you get rid of the allergens in the home. You should also change out your air filters and consider buying an air purifier to help out. With the proper steps taken, your spring won’t be filled with sneezing. As the weather begins to warm up slightly, you might start moving some of your heavier clothes into storage. This is also a great time to separate what you will be using next year, what needs to be stored for hand-me-downs and what items should be donated. This step alone will help you save money in the upcoming years and will even allow you to know what you’re in the market to buy when winter clearance begins. Properly storing your clothes is also important. You might want to invest in plastic bins to help keep moths and other bugs out of your clothing. You can even condense the amount of space they take up by placing them in a bag and sucking the air out. With your winter wear out of the way, cleaning your closet space will be much easier. Spring is a great time to toss out your old shoes and buy new ones. Keeping new shoes in the home can be important for your feet’s overall health as old shoes often don’t offer the shock resistance we need. They may also be growing fungus from constant use. In the spring, you can find lots of great sales on shoes, which will help you save money too. Having a decent pair of shoes will encourage you to go out and walk, run and get more exercise overall. This will make spring time healthier than ever for you. You should look for footwear with plenty of ventilation though, as this will ensure your feet will be ready for summer and autumn too. All of your favorite winter treats are about to look a lot less appealing and a lot more expensive. So, you might want to consider stocking up on winter produce while you can. Many winter items can be transformed into delicious jams, which will help satisfy your family throughout the year. Other items can be cut and frozen to use in smoothies or other recipes. Vegetables are also great items to stock up on. You can pickle a lot of winter vegetables, to ensure you have delicious snacks all year. Of course, cutting and freezing the items are also a popular choice. This will help improve the nutrients your family gets throughout the year and will help you make some of your favorite comfort foods without spending a fortune. Spring means spending more time with family and friends outside. So, it might be time to tend to the furniture you have. First of all, you should hose down the furniture to get rid of dust and dirt that may have occurred while in storage or during the last season of use. Once you have this taken care of, you might want to add sealant to the furniture to get you through the rainy periods. If the furniture looks worn, then you may also add a new coat of paint before doing the sealant. Fabrics can be washed and refurbished if need be. There is also a fabric sealant that can help keep your fabrics waterproof and ready to take on any damage that occurs. These tips should have you excited about spring and ready to take on the day. Without a doubt, you will have fun getting everything ready to make the next season amazing. So, don’t let the extra-long winter get you down, as you can make sure you enjoy spring from the very beginning this year. February is National Children’s Dental Health Month, which makes it a great time to schedule your child a check up or work to improve their dental hygiene. Of course, many people associate dental care with high prices, which could detour you from wanting to partake in the month. Luckily, there’s actually quite a few ways you can cut back on the amount of money you spend when it comes to helping your child maintain dental health. These ten tips will allow you to show your children the ropes when it comes to a healthy dental hygiene lifestyle while helping to keep money in your pocket. So, this month, find the right ways to help keep your children’s mouth healthy to ensure you don’t have to deal with dental work in the future. One of the best tools you can use to help prevent high costs in dental care is to help your children learn proper dental hygiene at an early age. One of the first things to teach your child is how to efficiently brush their teeth and to encourage them to do it twice a day. This will help cut back on gum disease as well as cavities. When children are old enough, they should also work on flossing to prevent cavities from popping up in between the teeth. Of course, it can be hard to start these habits off right, so try to make it a game when you can. Your children will fall in love with brushing, which should get them in the right mindset to do it every night. When you begin these habits, your child will have it set in their minds to do it every night, thus helping them lead healthier lives with less dental work in their future. Without a doubt, children love to satisfy their sweet tooth, which can wreak havoc on their teeth. If you can, try to limit your child’s sweets intake, so they can prevent cavities in the future and develop healthier eating habits. Many parents tend to allow children to have sweets on a daily basis as snacks or quick treats. This can really harm your child’s teeth, especially if it is happening multiple times a day. One of the best habits to get into is offering fruit to satisfy the sweet craving. Most fruits are great for the teeth and will allow you to give your child more nutrients that they need to grow up healthy. Apart from cutting down on sweets, you need to try to make an effort to get your children to eat healthier on a daily basis. This might require you to change the way the whole family eats in order to provide a solid example of how you should eat every day. Apart from providing the body with proper vitamins and nutrients, eating healthy actually builds strong teeth. Believe it or not but eating raw vegetables can actually get rid of plaque on the teeth, which helps to prevent decay that causes cavities. Drinking water will also help with dental problems and bad breath, as bacteria tends to grow in a dry mouth. Eating and drinking food with calcium will also help build strong enamel, which protects the tooth from decay. Cutting back on drinks with caffeine, especially soda, can even make your teeth whiter. Although dental insurance often means spending more money, it can help save you a whole lot more than you would expect. Simply getting a cleaning and check up can cost around $100 depending on the dentist, which is a dental visit that is usually covered twice a year with most dental insurance. You can also get hit with some pretty hefty bills if you need dental work and don’t have insurance. It is always better to be safe than sorry too, as it would be a huge hit on your budget if a child chipped a tooth or ended up needing braces or a retainer. So, do yourself a favor and look into dental insurance if you don’t already have it. One of the major problems with the dental world is many dentists try to push too much work on their patients. For instance, you don’t actually need x-rays on your teeth every time you pay a visit to the dentist. This is especially the case if your x-rays have always come back as healthy and if you are a fully-grown adult. Many other procedures are often unnecessary, so if you think you’re being taken for a ride then get a second opinion or talk to a dentist online. You might be surprised as to how much you can save simply by knowing what should be happening with your dental visits and your children’s. When it comes to shopping for your kids’ dental hygiene products, a little research is one of the best ways to figure out what is going to work best for your child. Although there are a lot of products to choose from, not all of them are good for your child’s dental health. For instance, some toothpastes concentrate more on the delicious flavor opposed to the actual cleaning principles. Although its great for teaching kids to brush, it isn’t very good for preventing cavities. Even some kids’ flossers aren’t as safe as they are made out to be. Luckily, there’s lots of great recommendations to help you choose what is going to be right for your children. So, you can check out reviews from actual dentists when you’re looking for something to help your child’s mouth stay healthy. Believe it or not, but time can be your child’s best friend when it comes to dental hygiene. It is recommended that your child brush for at least five minutes, twice a day. This can be tough for children that just want to go off and have fun. So, you might want to look for a timer to ensure that your child brushes for the right period of time. There are lots of fun timers to choose from. You can even find one that suits your bathroom’s theme if that is important for you. This might actually allow your child to have some fun with brushing too. You can even have fun with the brushing period by coming up with games or giving rewards to children that brush for the entire period of time. Without a doubt, seeing a dentist is important for dental health. However, some dentists tend to charge an arm and a leg for their service. So, it’s always wise to look around. A lot of parents begin to look for dentist that have child-friendly offices. However, a lot of these offices tend to be a bit more expensive. They may have cute chairs for the kids to sit in, but their services are equal to those who often charge less. So, make sure to look around to see who has the best reviews and prices. This will help you find a long-term dentist that will ensure your child will grow to love going to the dentist and will feel safe in the environment they are in. When it comes to dental hygiene, taking precautions is one of the best ways to go. For instance, teaching children to brush and floss properly will set them up for a lifetime of good health. However, there are other precautions you can make to ensure your child will have a healthier mouth. One of these precautions is sealants. These go into the deep grooves of molars to help protect them from cavities. These back teeth are often harder for children to brush, especially if the grooves are deep. Sealants also cost less money than filling a cavity, so you will save even more money by taking precautions like these. One of the best ways to ensure your child is doing their best when it comes to dental hygiene is to help them understand why they have to practice good health. A lot of children are shown what to do to keep their mouths healthy, but they don’t know why they have to practice these habits. There’s actually plenty of pamphlets available that children understand why they need to brush and how to do it. There are even age appropriate options to ensure that children understand about tooth decay and more as they grow. 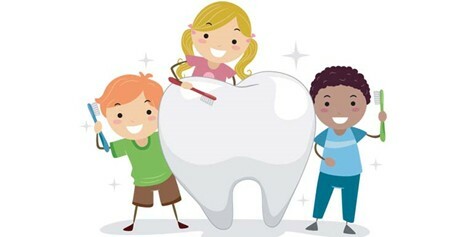 This knowledge will encourage children to brush and floss, as they will know what exactly is going on in their mouth. National Children’s Dental Hygiene Month is a great time to help your children get the hang of brushing, flossing and seeing the dentist. Of course, it is also a great time for you to learn all of the amazing things that can help you save money when it comes to your child’s dental needs. With any luck, these ten tips will set you on the right track so you can easily make sure your child’s dental health is always great. Chances are, if you’re on a diet this year, then National Pizza Day is going to be a bit of a challenge for you. Luckily, there’s some healthy options to satisfy your diet that won’t cost you an arm and a leg. The same can be said for pizza lovers that don’t have to hold back this year. Buying pizza can really put a dent in your budget though, but these ten tips will help you find the flavors you love for a price you can go for. So, don’t let National Pizza Day pass you by on February 9, because you can really make the best of the occasion and enjoy your favorite food without having to tighten your belt the rest of the week. If you’re looking for one of the best possible ways to enjoy pizza, then doing it yourself is the way to go. This will allow you to pick and choose whatever ingredients you like, which will allow you to know that you’re getting the healthiest possible meal, if that’s what you’re aiming for. Making your own pizza doesn’t have to be tough either. In fact, there’s even a few recipes that don’t require you to use yeast, so all you have to do is mix and go. You can even customize your pizza to suit your dietary needs, including gluten free or vegan. You can also step away from traditional pizzas and consider using a cauliflower crust to cut back on carbs. Of course, if you’re in a pinch you can use items like pita or naan bread to create a quick pizza that won’t fail to satisfy. Although it might seem tough to let your craving go without satisfying it, waiting on a deal can really save you a whole lot of money. However, if you’re willing to do a little searching, you should be able to find some form of deal to satisfy your needs. Most competitive chain stores are constantly offering new promotions to sell more pizza. So, if the price is right then you might want to go for it. Many of these chains and even some local shops will also pass out coupons to bring people to their restaurant. These two elements can really save you big on your pizza needs. 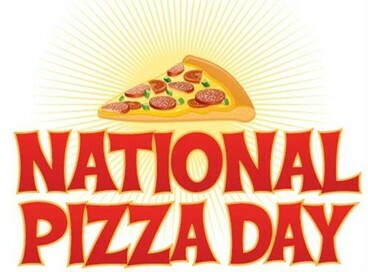 You may want to keep a look out for deals on National Pizza Day too, as this should give you lots of pizzas to choose from. Many people believe that if you want to get more for your money then you should order a larger quantity of pizza. However, this can hike up the price very quickly. Believe it or not, but you actually get more pizza if you spend a few extra dollars to order the larger size. It is basic geometry that shows that the larger circumference of a large pizza is much more than that of two smalls. So, next time you have a group to feed, keep it simple by just ordering the bigger size, your guests will thank you. You can even do this for yourself if you don’t mind eating frozen pizza later on. When it comes to picking and choosing what you would like on your pizza, ordering a custom order of toppings can take even the cheapest of pizzas to an extraordinary price. Usually, stores charge around $1 per added ingredient, which can add up if you’re planning on going all out on your pizza. Luckily, most shops offer specialty pizzas to help combat this problem. These pizzas usually cost a couple of dollars more than the one or two topping pizzas that most stores try to push. You will also be able to try a lot of fun new flavors, which will show off the restaurants ability to create a unique taste they call their own. Pizza is one of the best things to buy when you want something delivered to your doorstep. However, if you’re looking to save money then you might not want to click on that delivery option. Instead, pick up your pizza from the store whenever you can. When you order a pizza, the delivery fee might seem small at first, but when you look at the price difference between a pizza that was a carry out and a pizza that was delivered then you’ll be in for a surprise. On top of all the hidden fees, you also need to provide the delivery person with a tip. With all of these expenditures added together, you may end up spending an extra ten to twenty dollars. So, next time you want pizza, just pick it up yourself. It’ll save you some money and you won’t have to worry about it being cold because of a slow wait time or delivery service. One of the best things about pizza is the loyalty programs that you can find at most pizza shops. It doesn’t matter if it is a chain store or if you’re going to a mom and pop shop as you should be able to find a program that works for you. The best thing is, all of the loyalty programs tend to work differently, and you can have a loyalty program for every shop you go to. Most programs are designed to give you freebies when you spend a certain amount in the store. For instance, if you spend $100 then you might qualify for a free pizza. Some loyalty programs will only offer you coupons and insight to special offers. These can really come in handy when you want to splurge on something, but still want to save money. Usually, you can sign up for a loyalty program online, but many smaller shops will give you a punch card to help you keep track of your points. If you’re really in the mood for pizza and you want to get your money’s worth for the meal, then one of the best things you can do is hit the buffet. Usually, pizza buffets are fresh and offer a wide variety, so you can try out new things or stick to your favorite one topping classic. The best thing about buffets is they usually don’t force you to pay much for children. Some will even have days where children can eat for free. This should help you save some money, while giving you the opportunity to eat your fill on your favorite food. This is recommended for those on a diet though as you need to eat more than a slice or two to get your money’s worth. You might not think to buy pizza on your credit card as it seems like a useless expenditure. However, many credit card companies that have a reward program often offer cash back or more points for these expenditures. So, you may want to grab your credit card to pay. If you want to cut back on interest costs, then simply make a payment on the card so that it won’t negatively impact you. This will allow you to get the food you want, some amazing points and added convenience, without having to deal with any repercussions. Of course, if you spend money on your card often to get pizza then you may be doing yourself more harm than good. So, make sure to stay on top of the credit card bills if you choose to this on a regular occasion. If you’re short on time and money, then one of your best options is to go frozen. This doesn’t mean that you have to settle for pizza that even a college student wouldn’t take pleasure in. Rather, there’s a lot of great options available today that can help you find the pizza that will satisfy your cravings. From simple pepperoni to gourmet pizza, you are sure to find something that will make you feel amazing, especially for the price. You may want to do some research though, as many food websites have even made lists celebrating some of our frozen pizza options. The best thing about frozen pizza is it doesn’t take a whole lot of time make either, so if you’re looking for a great meal option for a busy school day then this is sure to make life easier. Your phone can be a great asset when it comes to saving you some major money. Just about every major pizza store has an app to make life more convenient for customers. Not only do these apps help you order pizza in a snap, but it can also save you some major money. For instance, the app will automatically sign you up for rewards. You’ll also get to see the best deals available, so you’ll always know what is going to save you the most. Plus, you will be privy to online only deals. Some apps, which can be applied to your phone or computer’s browser also work to find you the best deal for pizza. These apps can also help you get rebates, which is sure to make you happier about your purchase. National Pizza Day is the perfect time to give in to your cravings. These ten tips will help you find the best possible ways to save you big money on your pizza on the big day as well as the rest of the year. This should bring you lots of joy, amazing meals and save you plenty of money to spend on other things. Joining the scouts can be one of the most efficient and fun aspects of childhood. It doesn’t matter if you join the Girl Scouts, Boy Scouts or other type of troop as there are so many things a child can get out of the experience. Unfortunately, a lot of troops are very underfunded, which forces them to cut back on the things their scouts can see and do. Many of the troops come from underprivileged neighborhoods which harms their communities even more. There are many ways that you can help support the scouts in your neck of the woods, without forcing you to spend a lot of money. One of the best things you can do for your community is to become a troop leader. If you have children, then you might want to consider signing up to work on your child’s troop, which will make the scouts even more memorable for the two of you. If your child isn’t in a troop then you can always start your own, which will bring more convenience to anyone in your neighborhood that is thinking about joining the scouts. Of course, you can always start a troop even if you don’t have a child. It isn’t hard to sign up for the task, especially if you were a scout yourself. You will have to go through a bit of training, but before you know it you’ll get to experience a rewarding project that you might have a lot of fun with. A lot of children really want to join the scouts, but their family simply can’t afford the excess charges. This is hard for many children as there aren’t enough scholarships to go around. Usually, scholarships are divided between communities too, so if you end up in a community that needs extra help then the chances of getting one will be slim. Sponsoring a child is one the best ways to lend a helping hand. It actually doesn’t cost you a whole lot to do this. The largest charges will be the first initial charges as you will have a registration fee as well as a uniform fee. However, after that it is merely keeping up with patches, dues and upkeeping the uniform. As the months pass, you might not notice a lot of money going towards your sponsored child at all. You can talk to your local scouting unit if you’re interested in doing this and they can match you with a child. You can also sponsor a child you already know as long as their parents are fine with the arrangement. If you want a little less responsibility, then one of the best things you can do is fundraise to help out your local scouts. You can do this in so many ways, so you can find one that suits your interests to make the whole experience even more fun. One of the more popular options is to host a bake sale. This is usually an easy way to draw in money that can be quickly donated. Car washes are another fun option that the whole community can take part in. Apart from that, you might want to consider hosting a garage sale to earn some money. Some people even set up fundraisers online to help with the local scouts. Once you earn your money, you should be able to donate to your local chapter or at least talk to them about what you should do with the donations. Believe it or not, but you can actually earn some money for your local scouts simply by shopping. Amazon is one of the providers of this amazing service. All you have do is sign up for the scouts as your donation of choice and then make sure to go through the proper site whenever you order anything. The site takes a percentage of the sale and gives it to the charity or organization of choice. Of course, there are other ways to do this. Some stores will give you a special card to slide whenever you buy gas or other items and a percentage of these sales go to the scouts. You might not think this will help much, but the sales add up quickly. With other people participating in the same programs, you will be surprised by how much money the scouts will get just by having people shop around. If you want to keep things simple, then you can easily just donate directly to the program of your choice. You can do this in a multitude of ways too. For instance, you can actually go online and donate directly to the scouts of your choice. All you have to do is enter the amount you want and hit donate. Then you even get a receipt for the amount to use for your taxes later on. Of course, if you like to do things the old-fashioned way then you can simply go into your scouting headquarters and donate money that way. The headquarters might even share what you donate will be used for or how you can donate to a specific cause. 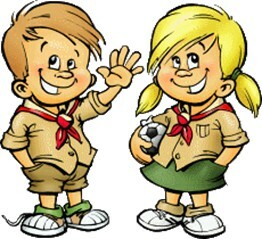 Believe it or not, but you can really do a lot of good simply by telling others about scouting. If your child is in the scouts, then you can easily tell their friends about the program in hopes that they will join too. You might also tell other parents about the program to help spread the word and get more people to join. The more scouts you have in the program, the better the funding which can allow students to gain more valuable experiences in their meetings and outings. You can also go a step further and make ads or flyers to pass out around the community. This is especially great if your troop is low on members. You can even talk to schools about spreading the word in hopes of getting more children interested in joining. At some point in time, you have probably been asked to buy a product from a scouting troop. May it be cookies, popcorn or chocolate bars, purchasing these items can actually help fund your local troops. Of course, this doesn’t mean that you have to spend a small fortune on the items. A few can go along way. If you do want to buy a lot of these items them freezing the cookies can actually keep them from going bad. This also gives you a nice cold treat on a hot day. If you know children in squads across the country and you want to give them a little support, then you’re also in luck. These days, you can actually order from specific troops online, which will help you satisfy family and friends with ease. A lot of companies actually have special scholarships and grants that they offer to the youth in the community. These scholarships can be used for a wide variety of things, including helping local scouts go on trips and make their tuition for camp. If your company is one of these, or you think they might be, then you might want to set up a meeting to talk to your employer. You might prepare a pitch supporting your local scouts to see if they might want to donate to their cause. Make sure you have your troop’s information close by just in case they do have the scholarships or grants to pass out. You can also pitch the idea to donate to individual scouts, especially if you have a scout that might be the only one left out during a camp trip and so on. Without a doubt, one of the best things you can do is sign your child up for the scouts. This program offers so many benefits for both children and parents that you can’t go wrong signing your children up. As long as children still have an interest in the scouts, the program will be able to maintain itself. Thus, enrollment is crucial in this process. Of course, parents can play a major role in the scouts too. Don’t worry, as you will be able to find lots of great lessons in this process too. You might notice a change in your child when you enroll them in this program as they will have an increase sense of responsibility and will even have a greater interest in practical handicrafts and hobbies that don’t involve the technology. Finally, volunteering can make you feel like you’ve done a good deed and will help allow the scouts in your neighborhood to enjoy trips that they wouldn’t be able to without the extra supervision. If you have a special skill set, then you might want to also volunteer to teach it at one of the troop’s meetings. Another idea is to offer baked goods, so the kids can have snacks during their meetings. If you can think it up, then you’re certain to find a great way to offer your time to the troops in your community. The scouts have been a great part of the country for many decades now, so it is important to keep them alive. These ten tips will allow you to do your part to make sure the next generation gets to enjoy the scouts too. You will certainly feel great for helping out and may even find your own interest is peaked in the organization. February is American Heart Association Month, which makes it the perfect time to pay more attention to your heart. Many people feel that they have to throw money into their health in order to receive results. However, this isn’t the case at all. In fact, there are a few everyday things you can do that can help with your heart and overall health. Some will even save you money in the long run. So, sit tight and absorb these ten tips because they might save your life one day or give you a better quality of life as you enter your golden years. Since it is the month to concentrate on heart health, you might also want to work on spreading the word, so others can improve on their heart health too. One of the best things you can do for your heart is to go for a walk every day. It doesn’t matter when you go or what kind of path that you take, just get up and move. Sometimes, walking can be hard for people, but if you can get up and moving for at least ten minutes then your heart is going to benefit from it greatly. Of course, if you can spend longer out walking, then go for it. It’s not only great for your heart but can really help reduce stress and other problems you might be facing. Walking a little after a larger meal can even aid with digestion. So, if you can find a few minutes in your schedule, try walking instead of browsing on your phone or watching TV. Believe it or not, but one of the best things you can do for your heart is to work on your dental hygiene. It has recently been discovered that gingivitis and other dental problems can be linked to problems with the heart. Plaque build up, in itself, can work to clog arteries which can lead to a heart attack or other problems. So, you might want to consider pulling out the floss once a day to keep your heart a little healthier. If you don’t like flossing, then a water pick is a great option to help you out. Of course, you should also make sure to see your dentist, so you can make sure everything is fine. One of the biggest problems many people have is drinking sugary drinks. These beverages are empty calories that really work against you in more ways than one. The calories that you take in from high calorie beverages are taking the place of the calories you need to indulge in healthy foods. This often means people take in too many calories in one day, which along with the sugar content leads to weight gain. This extra gain brings even more strain to the heart. Not to mention, the chemicals found in some drinks can have some major adverse effects on your heart. The only drink you really need is water, which can help you detox your body and stay hydrated. This will ensure that you feel great and your heart will be able to function properly. long list of foods that aren’t great for your heart too, so make sure to avoid them when you can. When it comes to staying healthy, the best thing you can do is work on eating fresh fruits and vegetables whenever you can. These options will give you the nutrients you need to lead the healthiest possible life. Another great option is healthy fats and lean meats. Unfortunately, this will mean cutting back on red meat for those that love having hamburgers on a weekly basis. Foods that are orange, contain lots of beta carotene which is great for the heart. Dairy can also help out as it is linked to lowering cholesterol. This might be one of the hardest things for some people to do. Getting enough sleep is very important in life, but often people sacrifice their sleep for entertainment purposes or for work. It is important that you try to get at least 7 hours of sleep every single day, but you should shoot for a full 8 whenever possible. This will not only improve your mental health but will allow your heart to pump more efficiently. It is hard to stress just how much rest can do for the body, so do yourself a favor and turn the TV off one show sooner, so you can get the sleep that your heart deserves. It might seem impossible at times, but it is incredibly important that you don’t let stress build up for too long. It is natural to have stress, but this actually works against our bodies and puts a strain on the heart. Stress can bring on anxiety which raises heart rate and does the body lots of harm. Luckily, there’s many ways to manage stress which can help with your heart too. For starters, you might want to take up a sport or an exercise like yoga. This will work your body out, which will help improve the way your heart functions. You may also just want to choose a hobby that helps relieve your mind of stress. Of course, if taking action against stress doesn’t work then it might be time to take matters further. If your job is the main culprit, then consider switching jobs or even careers. If you’re having trouble with relationships or personal issues, then you might want to bring in a psychiatrist to help out. That New Year’s resolution you made a few weeks ago, might actually be in the best interest of your heart. So many of our bad habits actually lead to poor heart health. For instance, smoking or vaping and drinking alcohol can do their own unique number on your heart. Fast food is another huge culprit when it comes to reducing the health of your heart. If you find yourself sitting too much, then you’re also not helping your heart out at all. Luckily, you can work to combat the damage you have already done, so you can lead a healthier lifestyle. All you have to do is stick to your goals and ditch the bad habits that you have. Before you know it, you’ll begin to feel a lot better than you ever expected. You may not have guessed that singing can be a great way to improve your heart health. Recently, a study was released saying that you should enjoy belting out those notes in the shower because its doing your heart a world of good. Singing doesn’t just work out the diaphragm, but it also brings you joy and reduces stress. Of course, if you’re a private person and you don’t like singing in public then head home and sing there when you can. There are even special devices that allow you to sing anywhere without hearing a note that you make. This can be great for apartment dwellers too that have to deal with thin walls. If you don’t mind singing in public then do it as much as you like. You might even consider joining a choir to ensure you practice this heart healthy activity often. If you have been feeling a little lonely lately then you might want to reach out to others as much as you can. Loneliness can be one of the worst things for your heart. This is largely because loneliness can cause depression and other mental disorders which can really do a number on the body. One of the best things you can do to combat this is to form strong connections with family and a select few friends. This will give your social activities a more meaningful nature to ensure that you feel less lonely even when you’re not socializing. Of course, if you’re an introvert, this doesn’t mean you have to socialize to the point of exhaustion. Try to socialize when you can and take lots of time to refresh afterward. Without a doubt, one of the top things you can do for yourself is to be aware of your body. This means documenting any changes you feel and going over them with your doctor. One of the most important things is to make sure you don’t have diabetes. If you have any inkling you do, then get checked out as soon as you can. You can even tackle this at some department stores that offer health days. High blood pressure and high cholesterol are also very important to keep track of too. 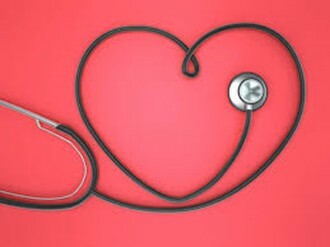 So, visit your doctor regularly and make sure that everything is going well to keep your heart feeling great. Your heart is one of the most important components of your body, so it is crucial to maintain its health. This can be a daily task though, as you really need to follow a regime that works with your lifestyle and schedule. These ten tips should help you find some easy ways to keep your heart on track though, so you can get the most out of your life.